It’s official. In the time since he was sworn into office on January 20, 2017 through Thursday, March 8, 2018, the U.S. government has managed to rack up another trillion in national debt under President Trump. 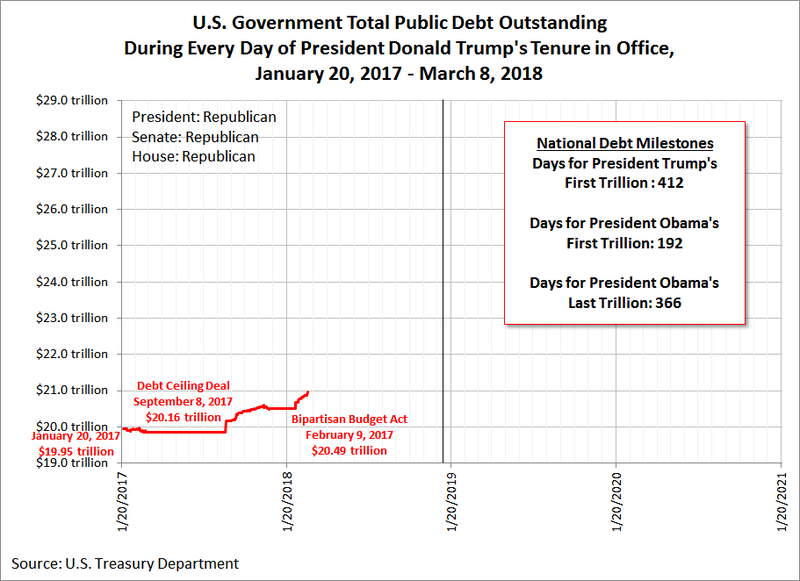 If there’s a silver lining to be found in this state of affairs, it is perhaps that President Trump hasn’t yet accumulated debt as fast as his predecessor did while he was in office. 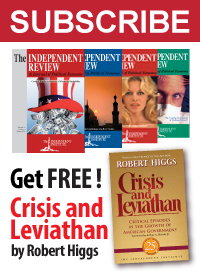 It took President Trump 412 days after being sworn in to pass the trillion dollar milestone for the national debt, whereas it took President Barack Obama just 192 days after he was sworn in, which was largely made possible by the massive, and largely ineffective, economic stimulus bill he signed into law in February 2009. It’s also slower than President Obama’s last year in office, when it took a full year to add another $1 trillion (President Obama’s ninth) to the U.S. total public debt outstanding. Thanks to the Bipartisan Budget Act of 2018, which President Trump signed into law in February 2018, we can look forward to many more trillion dollar milestones over the next several years.